NYCR Party June 26: Hackers and Hams Unite! Sorry kids, unfortunately for insurance reasons we can only allow guests ages 18+ and NYC Resistor is not a handicap accessible space. Like all ham events we will be giving away awesome door prizes from MakerBot Industries 3-D printers, Adafruit Industries, and Make Magazine. Our sponsors will also be offering special Field Day discounts for ham radio operators. 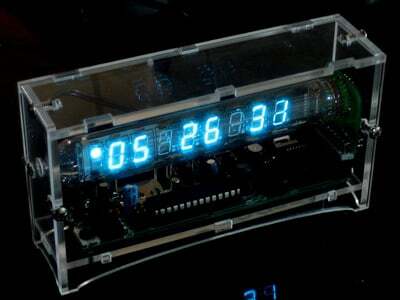 Adafruit’s Ice Tube Clock Kit is just one of the prizes up for grabs. In honor to Field Day, Adafruit will be offering a 10% discount on their kits from June 26-27 for all licensed hams. Just enter code “HAMS” at check out and in the comments include your call sign. MAKE Magazine is offering a 20% discount off of everything in the MakerShed. From 6/25-6/27 enter discount code “HAMHACKER” and your callsign in the comments (one time use, not combinable, no minimum purchase). MakerBot Industries MakerBot is offering a 5% discount on MakerBots. Email your callsign this weekend to hamradio@makerbot.com to get the discount code.